Our aim: to ensure that students arrive happy, confident and ready to learn in Year 7. Our expectations are high for all our young people for achievement, effort, attendance and conduct. Our way: we place great importance on the well-being of the individual. Our primary liaison team meets every new student to prepare them for the challenges ahead. Each student is discussed in detail with their year 6 teacher. A letter of welcome is sent out normally before Easter. In May and June the primary liaison co-ordinator sets up visits for every student transferring to Chauncy at their primary school. The information gathered on these visits is used in the compiling of tutor and teaching groups, in conjunction with Alan Crawley (Learning Coordinator for Year 7) and Lucy Saxon (SENCO). Each student is given a “Moving Up Challenge” to prepare in advance of New Intake Day. Our “Moving Up” project in June and July gives extra support to a small group of students who might otherwise find the transition unduly stressful. New Intake Day and Parents’ Evening take place on the second Thursday of July. 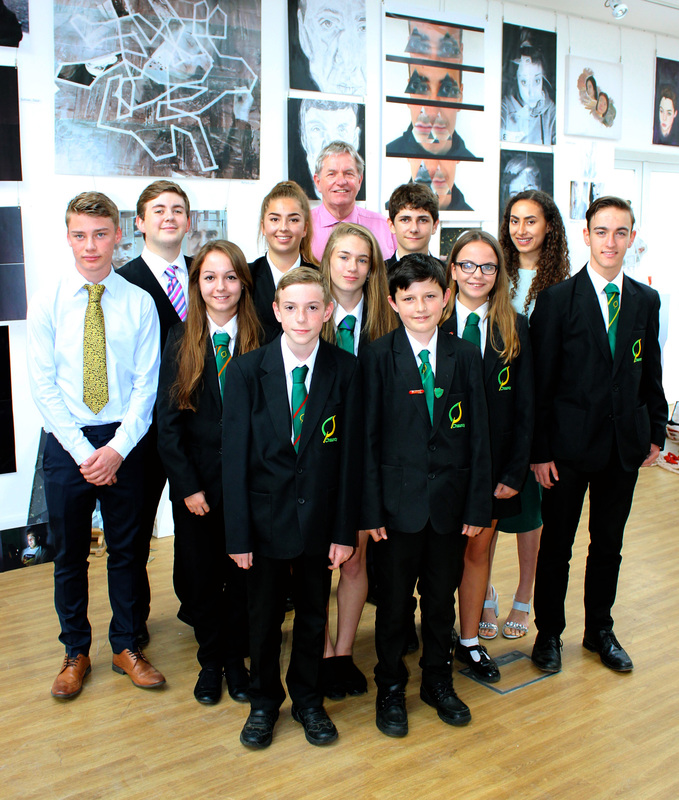 A Summer school is offered to the new intake Gifted and Talented students. First Day at Chauncy: to ensure a confident start the new students begin school one day ahead of the rest of the school. In September we hold a Learning@Chauncy Evening where students invite their parents and former primary school staff into school to sample lessons. In October we take year 7 to France for 3 nights to get to know each other, to develop their foreign languages skills, raise their cultural awareness and have lots of fun! If you would like any further information please contact Claire Matthews, the Primary Liaison Coordinator. This is a time of change for the entire household, especially if this is your oldest child about to move up. You should have already received a Transition pack from our office, full of information about daily life at Chauncy and how to purchase uniform. You will have the opportunity to meet the Year 7 team and of course your son or daughter’s form teacher on the Year 6 Parents’ Evening (usually second Thursday in July.) We will be selling a range of equipment that night. You will also be able to find out more about Chauncy and ask any questions that you may have. In the meantime our SENCO Mrs Lucy Saxon is attending any review meetings for pupils with statements and we have asked every primary school to let us know of any individual who might find transition particularly daunting and who would gain confidence from our Moving Up Project. We look forward to meeting you all in July and can of course be contacted by e-mail here or through the school office should you need to talk to us before then. In the first instance we suggest you contact the form tutor by e-mail and they will be able to get back to you when they are not teaching. You can also contact the subject teachers in a similar way. If you need to speak to someone, urgently or otherwise, you are always welcome to book an appointment. Chauncy contacts can be found here. The school strives to offer a broad and balanced curriculum for all our students and, using a comprehensive system of diagnostic assessment, we are able to identify SEN at all Key Stages and put in place appropriate provision. As a team, we regularly share information with teaching staff to enable them to plan for their students’ individual needs. High levels of attendance and excellent punctuality are both characteristics of students who meet and indeed exceed their target grades, achieve success and progress to higher education and/or employment. We expect all students to aim for 100% attendance. Attendance falling below 95% has been shown to result in an average reduction of one grade at GCSE Level per student and this increases to two grades when attendance falls below 90%. If any student is absent from school for any reason it is the responsibility of the parent/carer to contact the school before 9.30am on the first day of absence by telephone or email giving the reason for the absence. Contact needs to be made on each day of absence. Where a student has a medical appointment during the school day the school should be informed of the appointment in advance in writing. Where possible the student should attend school before and after the appointment, and, except for hospital appointments away from the area, the maximum absence that can be authorised is one morning or afternoon session. Parent/carers are encouraged to make medical appointments outside of school hours and during school holidays wherever possible. All year 7 students are expected to attend an 8.15 Club. On the first day of term students will be allocated a specific club that will best suite their needs in order to support their literacy or numeracy. The club runs from 8.15 am – 8.45 am. Students will be rewarded daily and parents can keep track of this via the reward emails sent out every Friday. Toast will also be provided for every student that attends. All students should be their club by 8.15 am each day. All students should log into ShowMyHomework everyday. All homework will be recorded on this online diary. Students also have planner which contains essential school information and are primarily used to help the students keep organised. They are used to record homework set, rewards given and written parent / teacher communication. Parents should feel free to contact subject teachers, form tutors, or Mr Crawley Year Seven Learning Coordinator by e-mail if they prefer. All students in each year group are entitled to the use of a locker. Year Seven students must bring in a padlock (small to medium size – see those already in place) and they will be allocated a locker in September. As in primary schools, students can either bring a packed lunch in to school or have school dinners. At Chauncy we use our fingerprints to pay for our lunch! Students and staff register unique data from their fingerprint which is used to top up lunch money and pay for food and drink. The system is easy to use and is much quicker than using cash. Chauncy parents use Wisepay – an online payment system for topping up student accounts. Further details can be found here. Students are expected to take their trays / plates to the clear away area by the entrance once finished. We discourage any student from bringing valuable items into school unless absolutely necessary to avoid potential loss and damage. However, we appreciate that most young people carry mobile phones under the direction of their parents. Students should use their locker to protect valuables during activities such as PE or they can by prior arrangement ask Reception staff to keep their valuables until the session has finished. Chauncy School will not be held responsible for the loss or damage of any valuable that are brought into school. Please refer to the Uniform section for a comprehensive list of items.